The Essex county NJ criminal defense lawyers at the Tormey Law Firm LLC represent clients charged with possession of drug paraphernalia, DWI, harassment, and trespassing which occurred in Fairfield, New Jersey. These traffic and disorderly persons offenses will be prosecuted by the State of NJ at the Fairfield Municipal Court. Luckily, our attorneys have literally defended thousands of clients facing these similar charges and focus their practice solely on criminal defense. 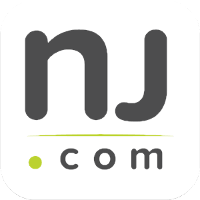 For example, the managing partner, Travis J. Tormey, was named one of the 10 best criminal lawyers in the State of NJ by the American Jurist Institute. In addition, another partner at the firm, Christopher Perry, was named a SuperLawyer Rising Star in the area of criminal defense in 2018. Criminal charges can result in fines, probation, jail time, and a permanent record. Make sure you hire an attorney or team of attorneys who will fight these charges for you in court. Fairfield is a township in Essex County, NJ. Nearly 7,500 people reside in the township, which has a total area of just under 10.5 square miles. The Fairfield Municipal Court is located at 230 Fairfield Road. The court office is open Monday-Friday 8:30 to 4:30pm, and the court office can be contacted directly at 973-882-2715. For more information on the Fairfield Municipal Court, please visit their website. · Frank Comaco is the Judge. · Marcella Wilson is the Prosecutor. · Maria Capca-Foschini is the Court Administrator. Take the Garden State Parkway South to exit 159 for Route 80 West. Merge onto Route 80 West. Continue on Route 80 West for several miles to the interchange at Willowbrook Mall. Exit Route 80 West onto Route 46 West. Continue on Route 46 West for approximately a mile and a half. Look for a sign for the Hollywood Avenue exit. (The exit is on the right hand side, just past a strip mall with a Drug Fair.) Exit Route 46 West at Hollywood Avenue. At the top of the exit ramp, make a right hand turn onto Hollywood Avenue. Go one block, then turn right onto Fairfield Road. Take the Garden State Parkway North to exit 153B for Route 3 West (the exit is from the left lane). Merge onto Route 3 West. Continue on Route 3 West to its end (bear left), where it merges with Route 46 West. Continue on Route 46 West for approximately five miles. (You will pass Willowbrook Mall.) Look for a sign for the Hollywood Avenue exit. Exit Route 46 West at Hollywood Avenue. At the top of the exit ramp, make a right hand turn onto Hollywood Avenue. Go one block, then turn right onto Fairfield Road. Take Route 80 West to the Willowbrook Mall area. At the Willowbrook Mall interchange, exit Route 80 West onto Route 46 West. Continue on Route 46 West for approximately a mile and a half. Look for a sign for the Hollywood Avenue exit. Exit Route 46 West at Hollywood Avenue. At the top of the exit ramp, make a right hand turn onto Hollywood Avenue. Go one block, then turn right onto Fairfield Road. Take Route 46 West through the Montville/Pine Brook area. Shortly after the traffic light at Hook Mountain Road, the highway splits. Bear left and continue on Route 46 East for approximately two miles. Look for a sign for the Hollywood Avenue exit. Exit Route 46 East at Hollywood Avenue. At the top of the exit ramp, make a right hand turn onto Hollywood Avenue. Go one block, then turn right onto Fairfield Road. · The Fairfield Police Department is also located at 230 Fairfield Road and can be contacted at 973-227-1400. For more information on the Fairfield Police Department, please visit their website. If you or someone you know has been charged with a crime in Fairfield, NJ, let us help you set the record straight. Contact an experienced defense Attorney at the Tormey Law Firm for a free consultation, 201-654-3464, or you can use the online contact form. A member of our criminal defense team will be happy to answer any questions you have and provide you with an honest assessment of your case.